If you told 8-year-old me we”d be learning details about a new Han Solo movie from leaked Lego kits, I would have paid much closer attention to my X-wing models. But here we are – Star Wars News Net has dug up a series of images that show several unreleased Lego sets that will tie into Solo: A Star Wars Story, and they corroborate a piece of promotional artwork that leaked over the holidays. 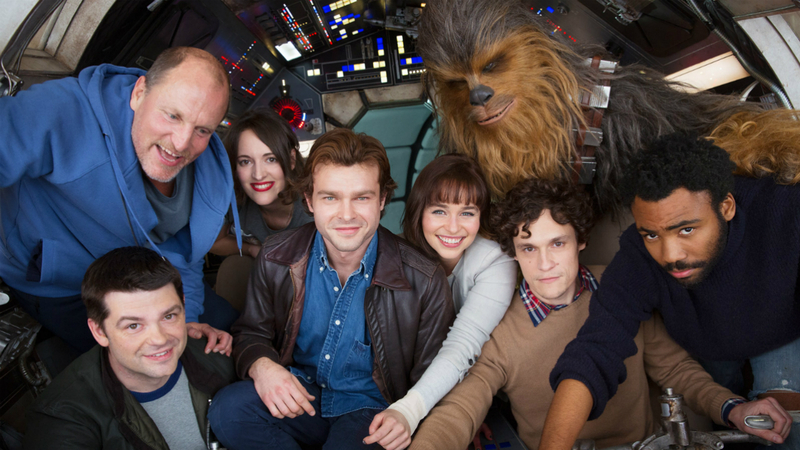 There”s Alden Ehrenreich as Han Solo, Donald Glover as Lando Calrissian, Emilia Clarke as new character Kira, and good ol” Chewbacca. Disney told ScreenRant that this artwork is not official, but I suspect Disney may be splitting hairs about the orientation and title placement because extremely similar art shows up on the leaked Lego packaging. Beyond this new look at the characters, the Lego kits themselves give us a new look at several new vehicles and creatures. Update: We”ve had to remove the images, so do your best with your imaginations. The Millenium Falcon went through a series of owners before Lando Calrissian lost it to Han Solo in a game of cards, and one of them must have liked blue and white. The box art refers to it as the “Kessel Run Millenium Falcon”, so this could be what the ship looked like when Han made his alleged sub-12-parsec journey. I wonder if we”ll see the Falcon transition to its trademark dingy gray color over the course of the film, or if we can just assume all the paint flaked off by the time Han skipped out on Mos Eisley with a Tatooine farmboy, an old hermit, and a couple droids in tow. Another picture reveals the design for a new kind of Stormtrooper, which Star Wars News Net calls a “Range Trooper”. Kind of looks like the midway point between a Scout Trooper and a Clone Trooper. There”s also an alien-looking individual, who apparently pilots a Landspeeder at some point in the film – likely during that big race scene we already know about. Han Solo gets his own Speeder set too. I”m worried about the prospects for Solo, thanks to that super-late directorial shift. But at least we can rest assured knowing that the tie-in Lego sets already look rad as heck.